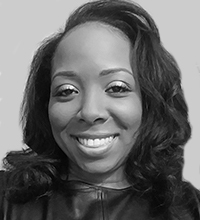 Ms. Coston is a multi-faceted business consultant and an award-winning marketer, specializing in brand management, experiential strategy, event production and operations/project management for nearly 15 years. She is dedicated to helping mission-driven organizations translate vision and big ideas into actionable and achievable plans. Shenique has spent most of her career using consumer insights to build innovative and disruptive business building ideas and curate brand experiences for category leading companies such as Samsung Electronics America, Procter & Gamble Co., and Nickelodeon/ MTV Networks. Her passion for technology, culture & arts, and diversity coupled with business expertise makes her well positioned to assist emerging to established leaders across varying arenas. Shenique received her BA in Economics from Boston University and her MBA with emphases in Marketing and Strategy from the University of Michigan’s Ross School of Business. She is a native New Yorker currently residing in Newark, NJ. Shenique is very active in her community and devotes time to a number of professional and charitable organizations, including Dancewave.